PAPA, the musical partnership of childhood best friends Darren Weiss (drums/vox) and Danny Presant (bass), has just released its debut full-length Tender Madness. 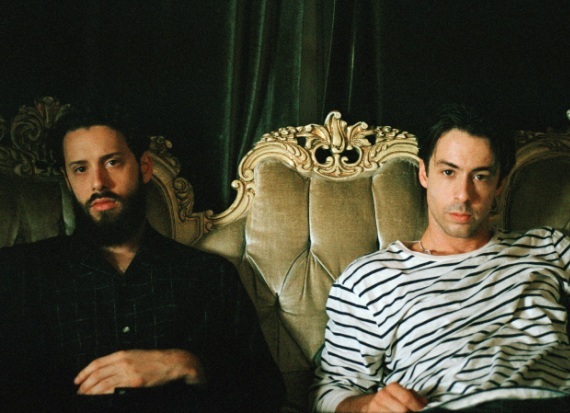 PAPA established a passionate fanbase in Los Angeles in 2011 following the release of their celebrated EP, A Good Woman Is Hard to Find. LAist described their stage presence “as commanding as the capital letters in their name.” The band has been steadily building their reputation as a captivating live band over the last two years, and in the past few months they’ve sold out hometown venue The Troubadour and shows in major markets like San Francisco, London, New York and more. PAPA just wrapped up a tour with Cold War Kids and will continue bringing their raucous show through the West Coast with a headlining tour, including a homecoming show at Los Angeles’ El Rey on December 6. Complete list of remaining dates below. The band recently released the “Tender Madness Sessions," a series of four beautiful black-and-white live videos shot at L.A.’s El Rey Theatre. The videos were premiered by MTV Hive, Vogue, Wonderland magazine, and Another Mag.